This unit was raised as a dragoon regiment in southern England in 1715, after which it was immediately sent to Preston to face the First Jacobite Rebellion. From 1717 to 1742, the regiment was in Ireland. It faced the Jacobites again in 1745, this time in Scotland. It fought at Prestonpans and Falkirk, before returning to Ireland in 1746 for nearly 50 more years of peacekeeping. During this period, it was ranked as the 14th Dragoons in 1751. Then, in 1776, it was designated a light dragoon regiment. In 1791, the regiment escorted Crown Princess Frederica from Dover to London. The only child of the king of Prussia, she had arrived in England to marry Frederick, Duke of York, the second son of King George III. 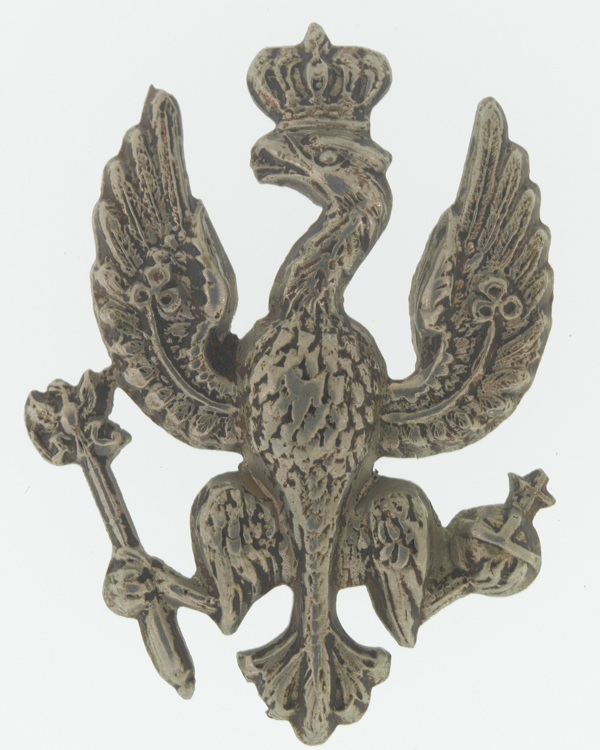 Seven years later, it was named after her and granted the Prussian eagle as its cap badge - an honour which was abolished during the First World War, but retained by its successor regiment. Its first overseas deployment came during the French Revolutionary War (1793-1802), when two of its troops were posted to the Low Countries and Germany in 1794. The few men from these troops who survived were absorbed into the 8th Dragoons. However, seven troops of the 14th still remained. These were sent to Haiti in 1795. During their time in the Caribbean, they faced rebel slaves on Jamaica and garrisoned Santo Domingo. But their losses to tropical disease were so heavy that only 25 men returned to England in 1797. 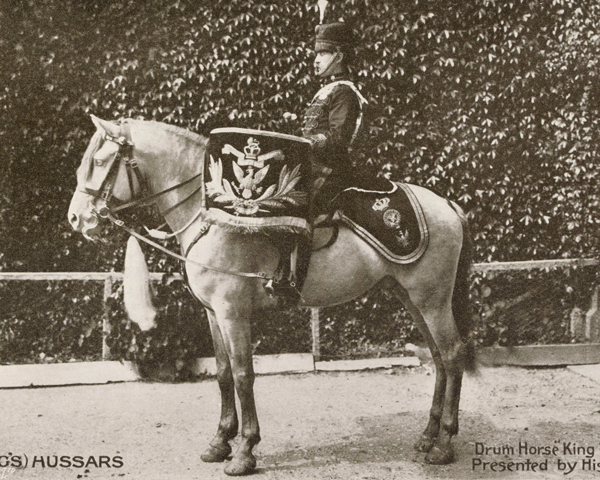 Which of the following was a nickname of the 14th King's Hussars? After fighting at Vitoria in 1813, the regiment looted a silver chamber pot from the carriage used by Joseph Bonaparte (King of Spain and elder brother of the Emperor Napoleon). 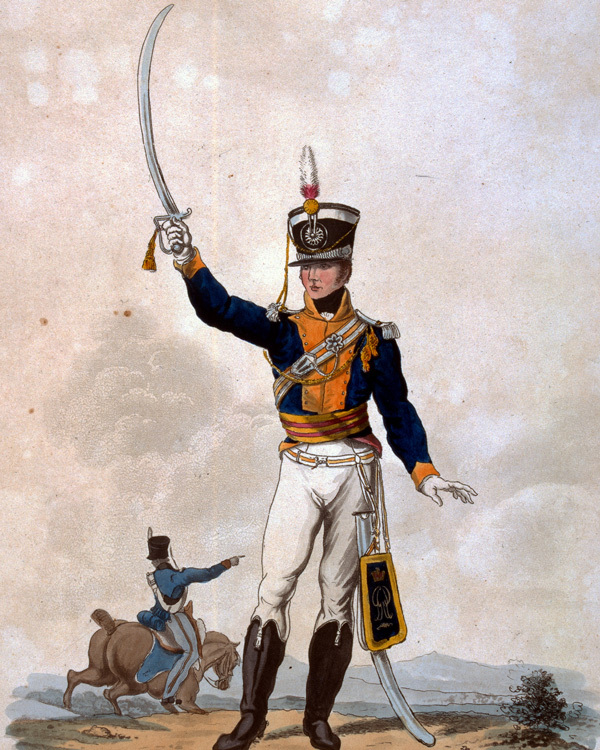 The regiment re-recruited in England until 1808, when it set sail for the Peninsular War. It fought there until 1814, serving at Talavera (1809), Fuentes de Oñoro (1811), Ciudad Rodrigo (1812), Badajoz (1812), Salamanca (1812), Vitoria (1813) and Toulouse (1814). Within a few months of arriving back in England, it was sent to fight in the New Orleans campaign of the War of 1812 (1812-15). After home garrison duties, it began its first posting to India in 1841. It remained there until 1860, fighting at Ramnagar (1848) and Chillianwala (1849) during the Second Sikh War (1845-49). During this period, it was also granted the prefix 'King's' following William IV's accession in 1830. In 1857, it served in both the Anglo-Persian War (1856-57) and the Indian Mutiny (1857-59). 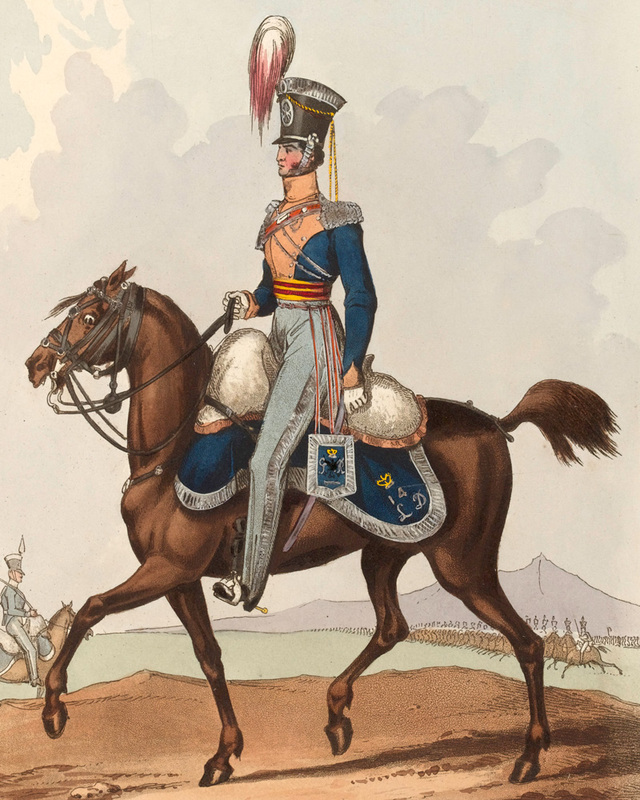 Then, in 1861, it was made a hussar unit. Further garrison duties across the British Empire followed. It also fought in the Boer War (1899-1902), taking part in the Relief of Kimberley (1900) and several other operations. 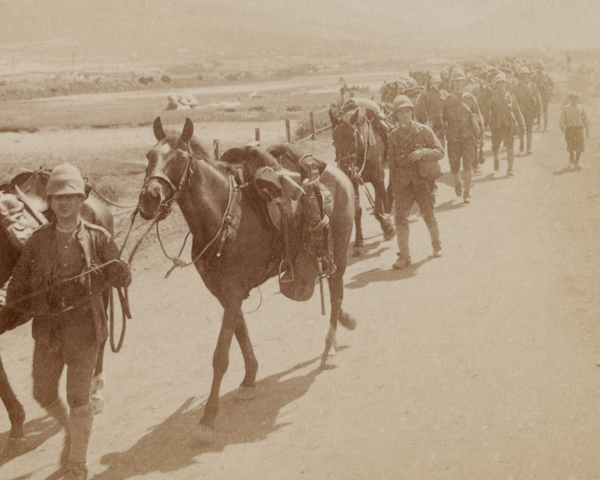 On the outbreak of the First World War in 1914, the regiment remained in India. Its first action came a year later when it was deployed to Mesopotamia. It spent four of the next five years there - the exception being 1918, when it was part of the Persian Cordon. It served in most of the major engagements, including Kut in 1915, Shaikh Saad, Hanna and Sannaiyat in 1916, and Kut and Baghdad in 1917. In March 1919, it was sent to Germany to join the Army of Occupation in Cologne. From there, it also sent one squadron to occupy Silesia. The regiment was still in Germany in 1922, when it amalgamated with the 20th Hussars to form the 14th/20th Hussars. Explore the history and collections of the 14th King's Hussars by visiting the 14th/20th King's Hussars Museum at the Museum of Lancashire.